The Tanglewood has all the features needed for a years and years of play & fun. It has a raised fort with a wooden roof, and end gables. 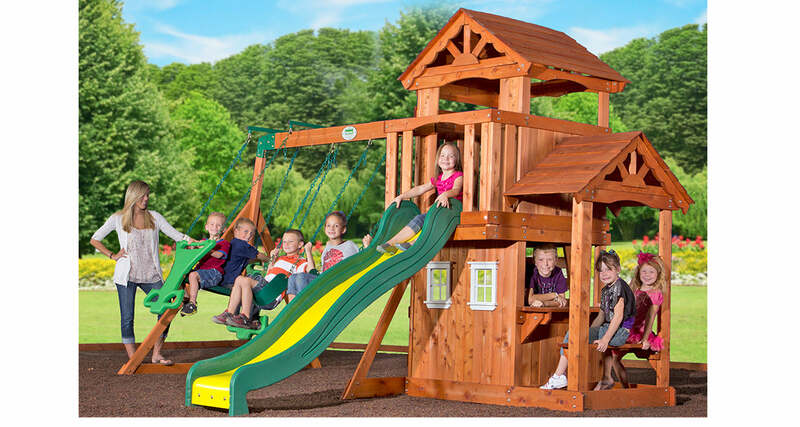 covered by a pergola provides lots of social and role playing fun for kids and their friends. afternoon juice break at the snack window and integrated bench. will transport your children there swiftly and safely. 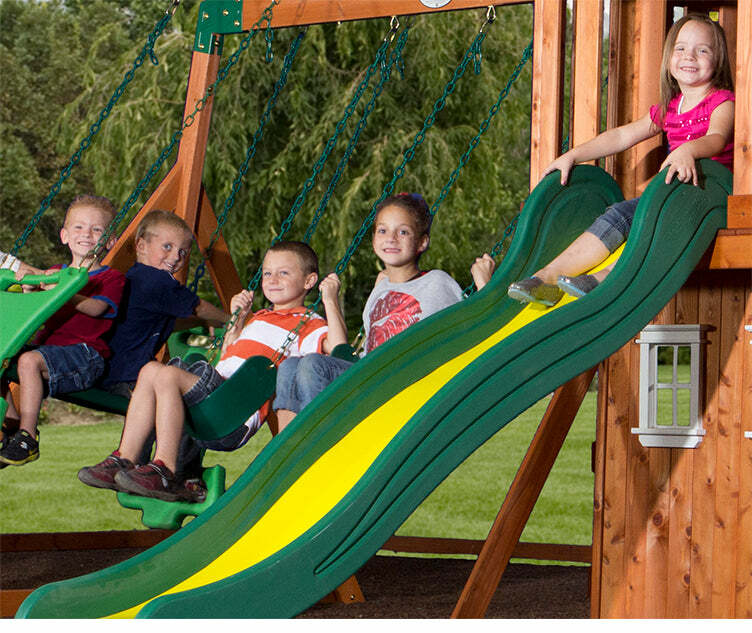 With two belt swings and a two-person glider, there’s plenty of room and fun to be had for everyone and every age. the perfect social clubs or secret hideouts. your lumber will be less likely to develop small cracks emanating from knots. Our exclusive Safe-T-Fuse locking nuts resist loosening over time and their rounded surfaces won’t catch on clothing or cause scrapes. 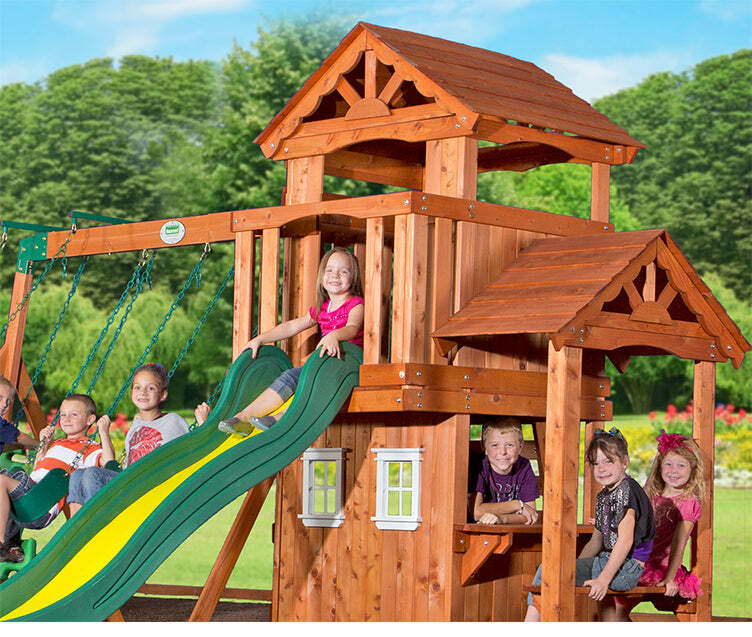 All of our swing sets and pergolas are made from 100% cedar wood. 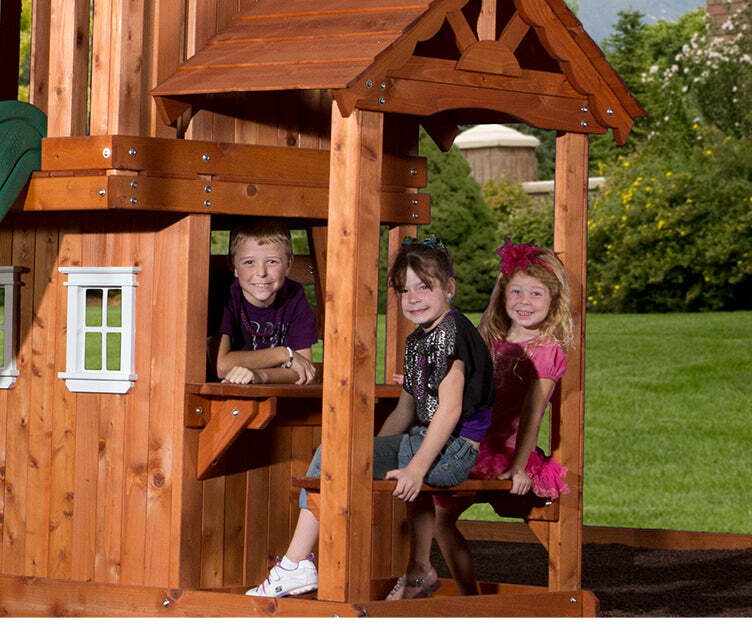 With a chemical-free stain safe for children and animals, this high quality material naturally resists mold and decay. All plastic co mponents are also UV resistant. Safety Precautions On-site adult supervision is required. Place the equipment not less than 1.8 m from any structure or obstruction such as a fence, garage, house, overhanging branches, laundry lines, or electrical wires. Do not install home playground equipment over hard surface to avoide serious injury to the equipment user. Assembly Required This product requires full assembly, instruction manual are included. Max User Weight A maximum of 54kg. per child is recommended for play activities designed for multiple child use. 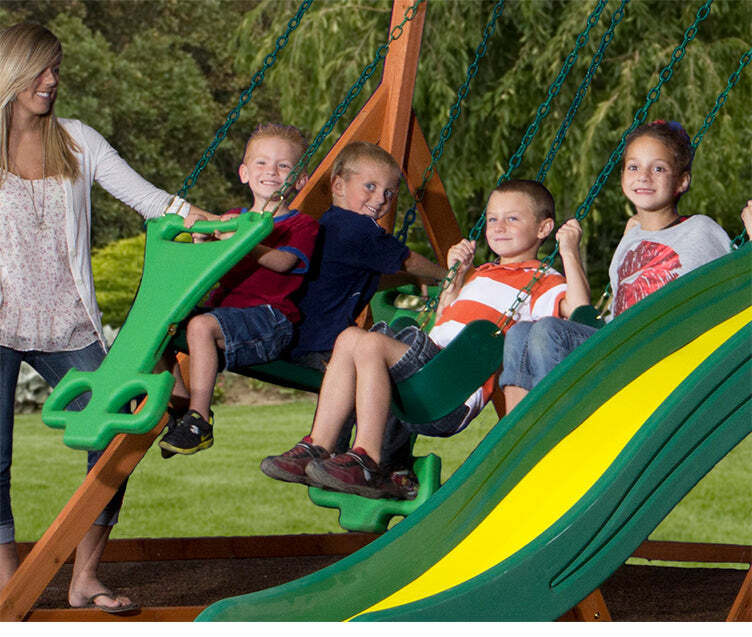 A maximum of 9 children is recommended for this swing set.